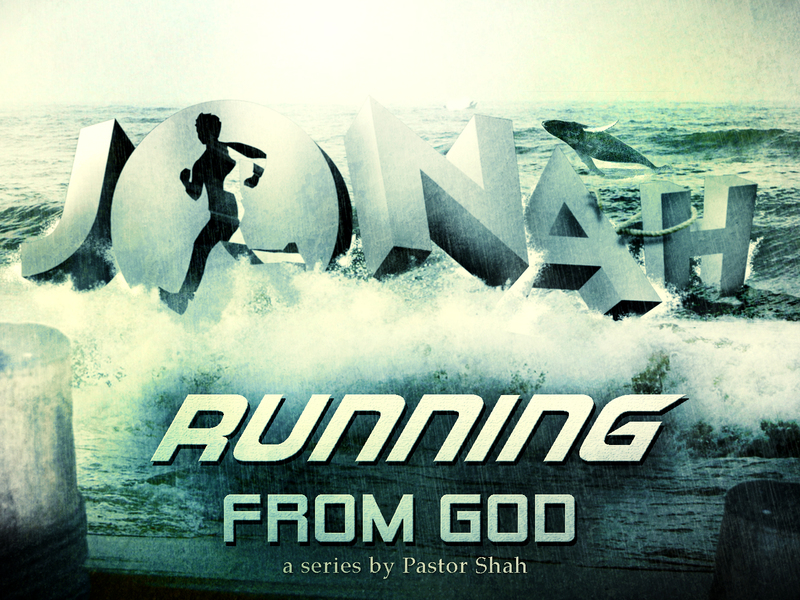 This morning we are starting a brand new series on the Book of Jonah, titled, “RUNNING FROM GOD.” All of us who grew up in church are familiar with the story of Jonah and the Whale/Big Fish. Both children and adults love this book. When the Holy Spirit led me to it, I did not realize how many layers of truth were in this tiny 4-chapter book! I am looking forward to this series! This morning we are in our first message titled, “WHEN GOD DISRUPTS YOUR LIFE” from Jonah 1:1-3. Jonah 1:1-3 1 Now the word of the LORD came to Jonah the son of Amittai, saying, 2 “Arise, go to Nineveh, that great city, and cry out against it; for their wickedness has come up before Me.” 3 But Jonah arose to flee to Tarshish from the presence of the LORD. He went down to Joppa, and found a ship going to Tarshish; so he paid the fare, and went down into it, to go with them to Tarshish from the presence of the LORD. For e.g. Reminds me of children on school mornings. You get them out of their bed, out of their room, and you think that they are in the bathroom getting ready or eating breakfast. But then you find them sleeping on the couch in the living room. God woke Jonah up and told him to go to Nineveh. Jonah woke up and ran in the opposite direction, got in a ship, went to the cargo hold, and went back to sleep. The question that comes to my mind is “Was he tired?” “Did he have some kind of a sleep disorder?” Not really. There was something else going on in Jonah’s life. It was easier for him to be asleep than to obey. He felt that if he could just go back to sleep, it would all be over. But praise God that He does not give up on us. Even when we pull our covers over our heads, He comes after us and gently yet firmly starts to awaken us. Application: I don’t know where you are this morning but the Holy Spirit does. He is coming to disrupt your sleep. He is pulling the covers back. He is whispering in your ears. If you follow to another room, He will not give up. He will still come after you. I hope that you will respond to His voice. Don’t keep running because He won’t follow you forever. This morning let’s try to understand why Jonah was asleep (spiritually) and why he ran from God. I. JONAH HAD LOST HIS SPIRITUAL FIRE. A. HE WAS A SERVANT OF GOD – That’s not an ordinary title. Moses was repeatedly called the servant of God. That title is not applied to all the prophets. B. HE WAS A VERY INFLUENTIAL MAN – Jonah was not some Podunk prophet. He prophesied to the King of the Northern Kingdom of Israel. C. HE WAS A TRUE PROPHET – What Jonah prophesied actually came true. He prophesied that the Northern Kingdom will regain their territory under King Jeroboam II and it happened. Jonah was far from being crazy, coward, and immature. He knew better. But for some reason he had lost his spiritual fire. That is a warning to all of us. Unless you guard your spiritual fire, unless you stoke your spiritual fire, it is very easy to start living in the smoke. I meet a lot of people who at one time did great things for the Lord, served in the church, taught Sunday School and Bible Studies, went on mission trips, even led others to the Lord. But now there is a spiritual deadness, fatigue, and slumber in their lives. If you talk to them about the things of the Lord, they just yawn in your face. It’s almost as if the Enemy has put them under a spell. Application: Are you under a spell this morning? Are you spiritually asleep? Do the things of God move you any more? Does the voice of God move you anymore? If not then ask/beg the Holy Spirit to awaken you. II. JONAH HAD BECOME FRUSTRATED WITH GOD. When Jonah had prophesied that Israel (the Northern Kingdom) would regain their lost territories, it was based on the condition that they would turn to the Lord. God does not say – “I’ll bless you and prosper you but you can do whatever you want to do.” There are conditions. But here’s the amazing thing – God completes His end of the bargain first. Why does God do that? Listen to 2 Kings 14:26-27 26 For the LORD saw that the affliction of Israel was very bitter; and whether bond or free, there was no helper for Israel. 27 And the LORD did not say that He would blot out the name of Israel from under heaven; but He saved them by the hand of Jeroboam the son of Joash. Isn’t God gracious and merciful?!! For e.g. Recently in critiquing the Noah movie, Bill Maher called God a “Psychotic Mass Murderer who gets away with it,” “A guy who drowns babies,” “Why do we get our morals out of this book (Bible)?” “Why do people follow any of it?” He even called God names. What do I say to that? The mouth that you are using to speak, the breath that you are using to form words, the brain waves that you are using to instruct your vocal cords, and the heart that is pumping blood into your brain are all God’s gift to you. He kept His end of the deal, even if you failed. Because God did not punish Israel and take back His blessings, Jonah had become disheartened. I believe that there are people sitting here this morning who are frustrated with God. – Why does He answer prayers sometime and not the other? – Why does He heal sometimes and not the other? – Why does He seem to help the wicked and leave the innocent to fend for themselves? – Why does He delay in bringing judgment? Why does He delay in showing mercy. Isaiah 55:8-9 8“For My thoughts are not your thoughts, Nor are your ways My ways,” says the LORD. 9 “For as the heavens are higher than the earth, So are My ways higher than your ways, And My thoughts than your thoughts. No matter how close we get to God in our spiritual lives we have to remind ourselves that we will never truly grasp the mind of God, the mercy of God. Application: Are you frustrated with God? Are you disappointed with God? III. JONAH HAD ASSUMED THAT GOD WAS THROUGH WITH HIM. But he doesn’t realize that God was not through with Him. Isn’t that amazing that we might give up on God but He doesn’t give up on us?!! There was another assignment that He had for Jonah. This time it was to the pagan nation of Assyria. God was stirring things up in Nineveh. Jonah just wanted to be remembered as the great prophet of the Northern Kingdom. God in his sovereignty wanted every child in Sunday school to break out in a smile to hear the story of Jonah and the whale. One day even Jesus compared Himself to Jonah. I don’t believe Jonah was shocked when he heard God’s voice. He knew sooner or later God would come looking for him. For e.g. Many of you may not have heard the name Francis Thompson. He was a tremendously gifted young man. His father wanted him to go to Oxford but he lost his way due to Opium and failed again and again. He would make attempts to turn around and still go right back to the same old ways. He would find old newspapers from the garbage and read them and write some of the most heavenly prose and poetry to the editors. They were amazed at his work and they said that there is out in the streets someone who was probably greater than Shakespeare. He finally found Christ and wrote the poem Hound of Heaven. Application: Many of you this morning – God is calling you. He is disrupting your conclusions. He is challenging what you have long believed. Don’t run out. Don’t get into a boat and try to hide. It’s time to receive His love through Jesus Christ.